Contact us for a demonstration of this powerful system. 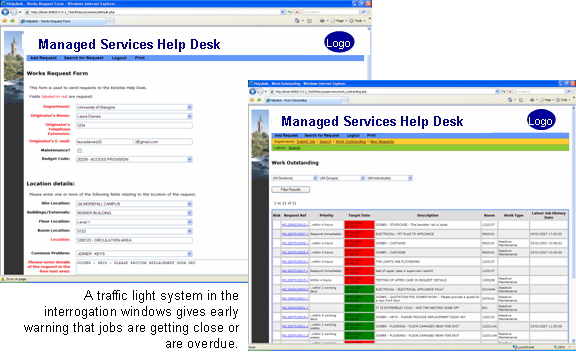 This is a one-stop-shop solution to all your help desk requirements. It can be maintained and hosted in-house or by Quantarc. It supports all services including Estates, IT, Cleaning, Catering, reprographics, deliveries etc.